Hau’oli La Hanau-HAPPY BIRTHDAY! UNCLE BUFFALO! ‘Buffalo Keaulana has lived worth 1000 lives (and saved more than that)! 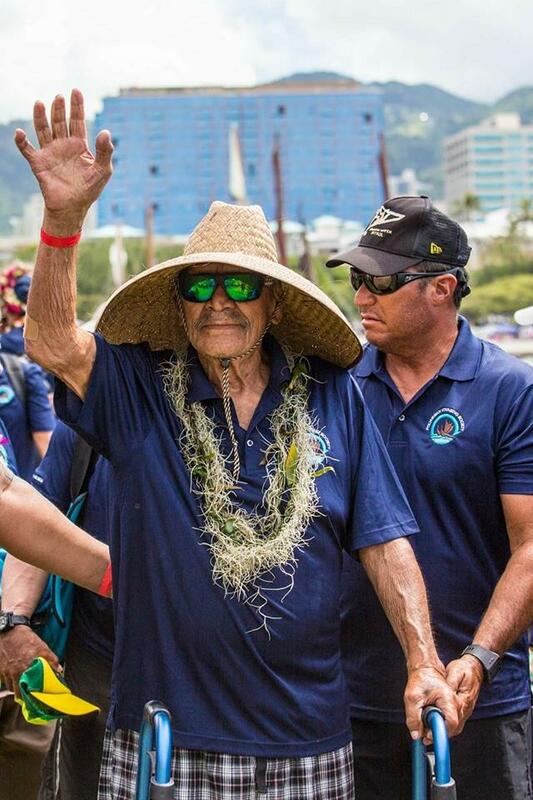 Richard “Buffalo” Keaulana Patriarchal Hawaiian Surfer/Lifesaver and Son of Makaha. It’s good to be the Mayor of Makaha, especially when you’ve given rise to a West Side dynasty now in its third generation. Richard Keaulana was born (1935) in Honolulu, his family settling in Makaha while he was still a young boy. He can trace his genealogy to King Kamehameha I (on his father’s side) and King Kekaulike on his mother’s side. And although the Keaulana family’s connection to the ocean is known from Japan to France, their fame had humble beginnings. 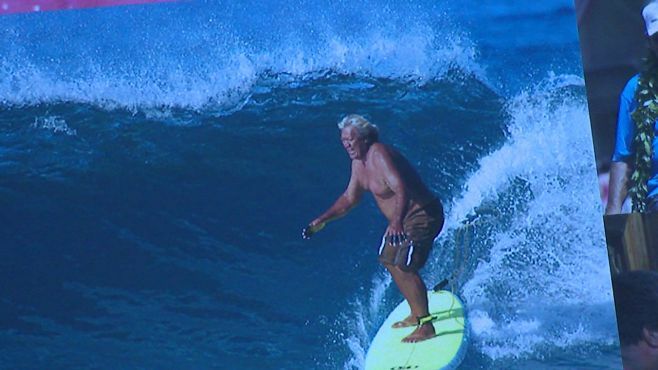 He learned to surf in the gentle rollers off Waikiki, eventually graduating to the level of beach boy during the 1950s. Dubbed “Buffalo” by friends due to a large head covered in copious amounts hair the color of adobe, he was considered one of Hawaii’s most naturally-talented surfers. His smooth style, switch-stance skills, and nose for the pocket made him an annual favorite at the Makaha International contest, an event he won in 1960; known at the time as the most prestigious surfing contest in the world. Keaulana captured six top four finishes in the contest between 1957 and 1965. Built with the sturdy frame of a Polynesian warrior, he was also considered by many at the time–including Greg Noll–to be the world’s best bodysurfer. A consummate waterman, Keaulana was named Makaha’s lifeguard chief in 1969, a position he managed for the next two and a half decades (in 1972 local officials erected a statue in his honor in front of a library near Makaha). Buffalo’s Big Board Classic—a surf contest and beach party held at Makaha is now for generations and has become a community mainstay. Two of his six children have gone on to noteworthy careers in surfing: Brian, a world class waterman and big wave surfer; and Rusty, a three-time world longboard champion (1993-95). Duke’s Waikiki honored Richard “Buffalo” Kalolookalani Keaulana with its 2014 Hookahiko Award. His wife, Evangeline Leimomi “Momi” Whaley, was also honored. 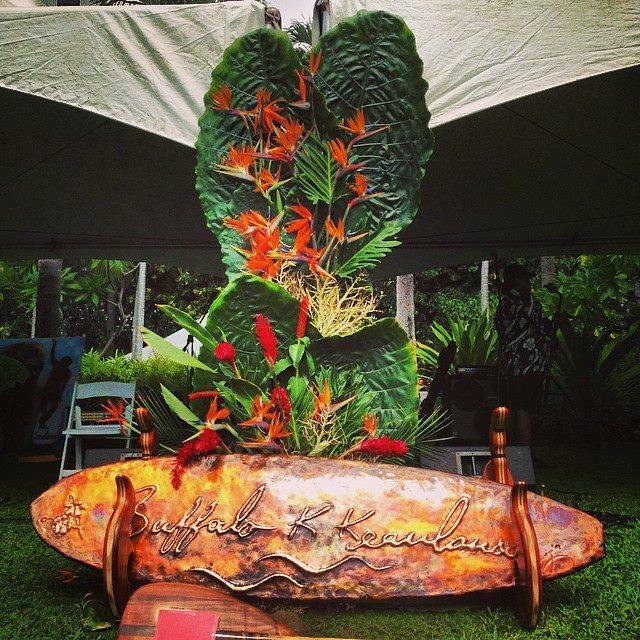 The award recognizes individuals who are dedicated to perpetuating Hawaiian culture and traditions. 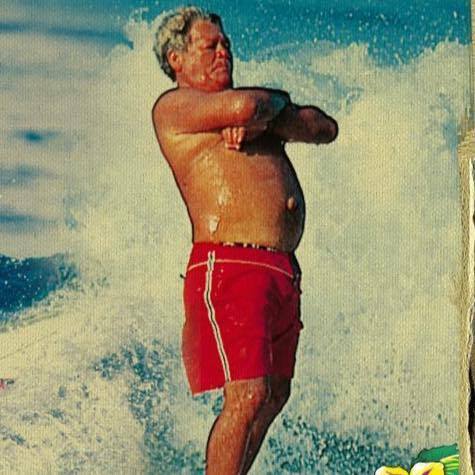 Keaulana, known as one of the founding fathers of surfing, spent 34 years as a lifeguard at Makaha Beach. 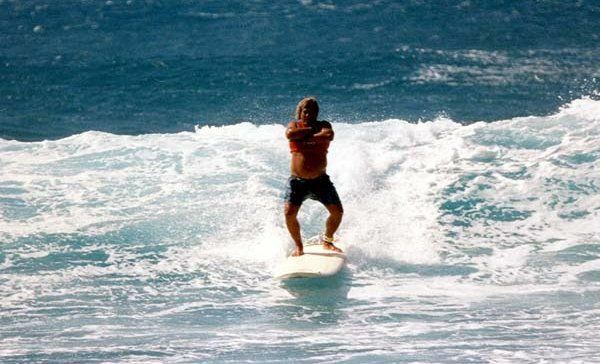 An avid surfer and bodysurfer, he earned many titles in the 1950s and 1960s at the Makaha International Surfing Championship, which was known at the time as the most prestigious surfing contest in the world. In 1976, Keaulana was chosen to sail on Hokulea’s maiden voyage of cultural rediscovery to Tahiti as the steersman. Duke’s Hookahiko Award was established in 1998 to honor those who, today, live exemplify and pass on those traditions. Past recipients include Pualani Mossman, Aunty Genoa Keawe and Violet Pahu Lilikoi, George Kanahele, Wright Bowman Sr., Winona Beamer, Esther Kakalia Westmoreland, the Kamaka Brothers, John and Poakalani Serrao, Kaui Brandt, Joanne Kahanamoku Sterling, Nalani Kanekaole and Sig Zane, Mac Poepoe, Valentine Kamealoha Apoi Ching Jr., Leinaala and Wilfred Lopes, and Joseph “Nappy” and Anona Napoleon.